← Diamond Light Transmission – Linking Heaven & Earth. Last night I found myself sitting alone on the man made rock wall at Brunswick Heads under a glowing full moon which shed it’s brilliant creamy light on a surging ocean continuously rampaging towards me. 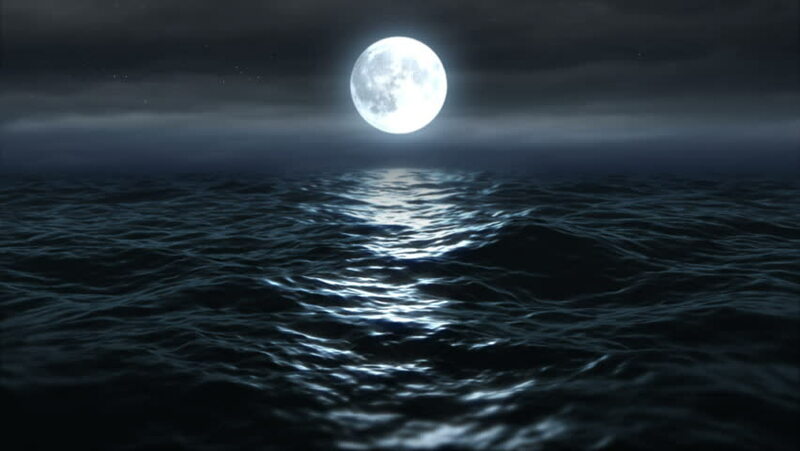 The Lunar eclipse and expected comet were also adding to the celestial intensity as I defiantly sat there daring the huge rolling waves to break over me and take me away – not just splash me relentlessly in it’s teasing fashion. I was alone with my thoughts and fears that had risen unceremoniously while in meditation not much earlier that evening. Meditation is for quieting the mind and stilling the senses bringing peace…. but not this one! This one felt like a rupturing of my safety net. I saw myself in a haze of intense feelings walking into ocean waters and swimming towards the horizon, knowing eventually the waves would take me and I wouldn’t return. At lease I’d find some sort of relief and escape. I’d seen this image many times before over many lives. The watery substance of feelings rising… going into overwhelm… looking for the release that never comes and then the choice to escape. Daring those waves to take me away and me not have to make the choice to enter the watery depths was the first sign that a new choice was arising- although I didn’t know that at the time. I could have sat closer to the edge. I could have jumped into the tumultuous seas. I didn’t though. I needed to vent my frustration and feel my vulnerability. I needed to surrender, not knowing what to do or how to do it. I needed to let go of my old ways of escapism, my old patterns of overwhelm and not deny my vulnerability… my humanness. I wasn’t broken on the rocks, yet I felt broken inside. Cracked open. Maybe it was in asking the question, asking for help – that the shift came. I wandered home slowly. Begrudgingly shared a little of what I was feeling with the one who knows me best. He felt my pain but allowed me to own it. I made myself read a chapter of my book taking me into a place of reverence and acknowledgement of the pains we all go through in these human lives on this spinning emerald green planet. As I eventually sunk into sleep with my sacred items close at hand -crystals, sacred photographs and tokens. I asked to be healed and nurtured by the Beings for Light and Angels that I know so well. I only woke once during the night fresh from a potent dream showing me my healing was being enacted. I gratefully allowed myself to fall back into sleep state until morning. I awoke in a new day with a new chance, having made a new choice. These times are precious, demanding, challenging beyond anything we’ve ever experienced. They have been created for our freedom and release, not from this life but from our old burdens and old ways of coping that no longer work and cannot come with us into the New Earth that is evolving. 2017 promises to be a doosey! It’s not for the feint hearted…..but it is for me. I hope we find each other there!